iPhone sales will continue to be weak in the first half of 2019, but should at least flatten out in the second half and help beat Wall Street consensus, TF Industries analyst Ming-Chi Kuo said in a memo seen by AppleInsider. March-quarter iPhone sales are likely to drop 29 percent year-over-year to 36-38 million, Kuo wrote, flagging that while Apple's trade-in programs have fueled demand outside of China, interest in new models within China and "emerging" markets markets has been lower than expected. In the June quarter, a 15 percent decline to 34-37 million units is anticipated. For the year as a whole Kuo is sticking to an estimate of 188 million to 192 million units, significantly above the consensus view of 180 million. 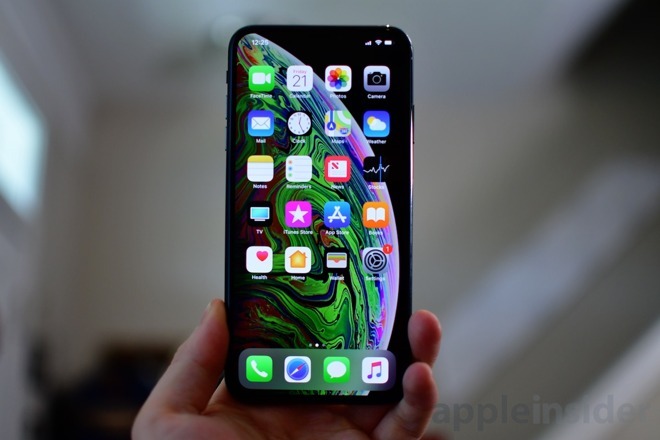 The analyst expects this fall's iPhone models to keep 2H19 units flat against 2018, thanks to trade-in programs, healthy replacement demand, and growing European marketshare. Towards the beginning of January Apple took the unusual step of downgrading its December-quarter guidance from $89-93 billion to just $84 billion. CEO Tim Cook placed most of the blame squarely on iPhone sales, saying it that it accounted for "all of our revenue shortfall to our guidance and for much more than our entire year-over-year revenue decline." He specifically cited the Chinese iPhone market, but also factors like "foreign exchange headwinds," fewer carrier subsidies, and "economic weakness in some emerging markets." Controversially he pointed to people taking advantage of a temporary discount on battery upgrades, instituted to apologize for throttling iPhone performance without consent. The company saw at least 11 times more upgrades than it had planned for. Final December-quarter results will be revealed at the close of Apple stock trading on Tuesday, Jan. 29.